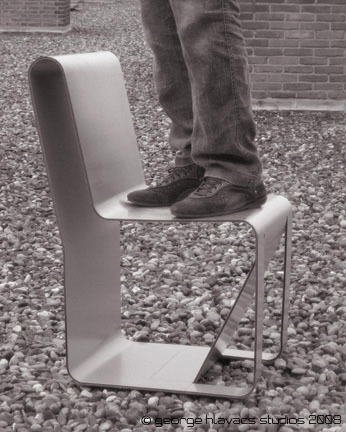 The Serpentine is the first bended aluminium composite chair with a soft-touch surface. It has a very simple, yet special story. Sometimes a design problem forces us to make a change in the form, and this change happens to be advantageus for all the other aspects. Like puzzle pieces, everything fall into place. To sit comfortable you need space behind the feets, so this area is bended a bit further than the ”legs”. This change makes the form much more beautiful and interesting, but above all the triangle structure that appears makes the front part extremely rigid. 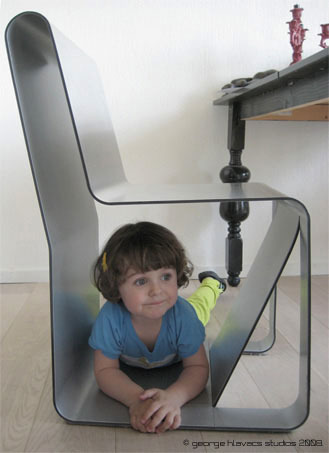 Without this form detail the chair would be instable. Farther from the front section the chair is getting a bit flexible, so it has the comfortable carateristics of plywood. 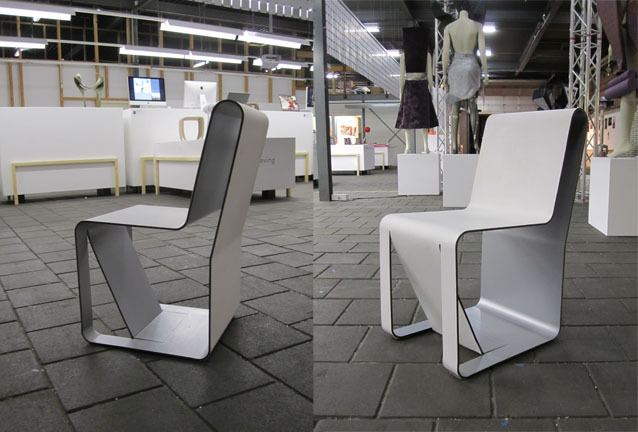 If you are interested in the production of the Serpentine chair, feel free to contact us.